Cults associated with sacred stones were once prevalent throughout the highlands. Sacred stones included oddly shaped river rocks or unearthed objects created by ancient highlands cultures, such as mortars, pestles, club heads and zoomorphic figurines. Ancestral and other spirits resided in these earthly forms, establishing a direct link with the spiritual world. The Enga people believed sacred stones were handed down from the 'sky people' who came to earth and created mankind; others thought they were the petrified bones of the ancestors. 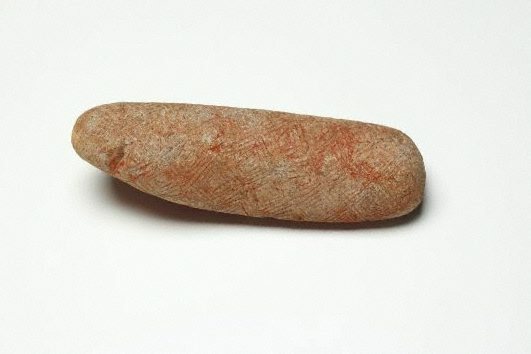 Stored in ritual houses or buried at sacred sites, stones were 'fed' the blood or fat of pigs on ritual occasions. Archaeologists believe prehistoric stone mortars were used to grind seeds and nuts for nourishment, and pigments for ceremonies.